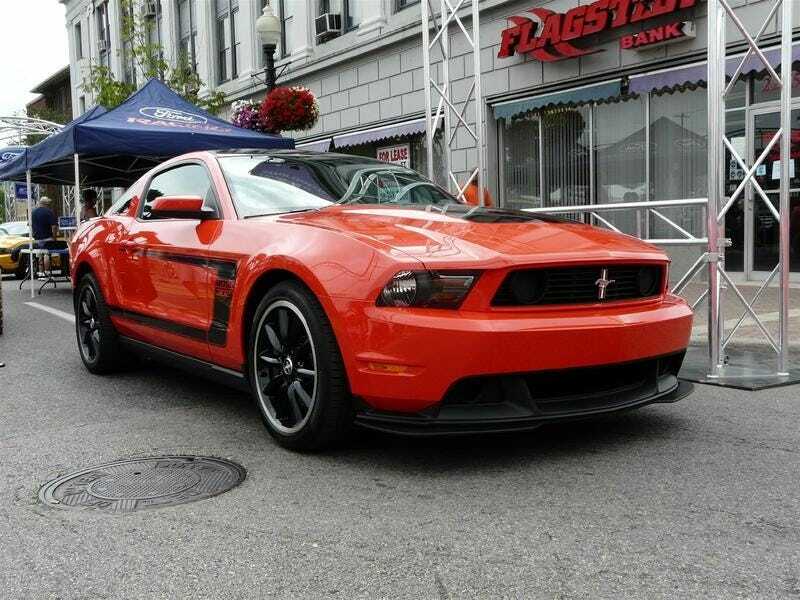 2012 Mustang Boss 302: An 8K Production Run? Ford's not yet released official production numbers for the new Mustang Boss 302. However, Borders, the bookstore chain, has posted a listing of a new book which might have accidentally slipped the size of Ford's new Boss-man. For the 2012 model year, Ford is at long last reviving the most revered of all Mustang models. The Boss is back. As with the first iteration, the new Boss Mustang will be built for two model years only, and just 4,000 cars will be produced each year: 3,500 street cars and 500 "R" race cars. That means, we guess, we'll see a mere 8,000 Boss 302s built over a two year run — 2012 and 2013. No clue what the "R" model will be for 2013, but it's clear the Laguna Seca Package is this year's "race" model.